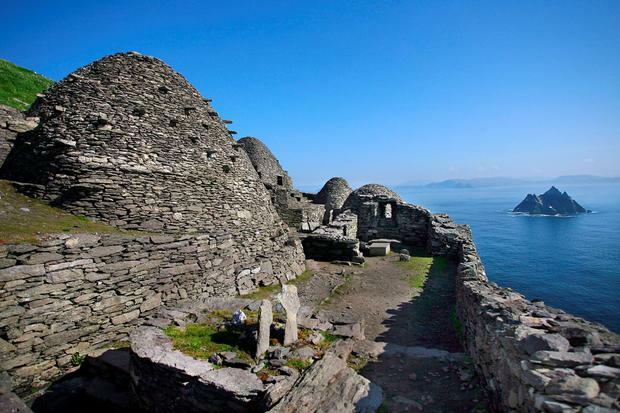 The Office of Public Works would have to cut access to Skellig Michael by a third if it is to return to the ‘sustainable’ level recommended by the world heritage organisation, UNESCO. New figures released this week show that 16,792 people landed on the monastic island in 2018, far above the 11,100 annual visitors that UNESCO say should be allowed visit the site. The number of visitors to Skellig Michael has soared in recent years from an average of about 11,000 a year a decade ago. Much of the increase in visitors has been linked to the island’s role in the recent Star Wars movies; however, the surge had begun before their release in 2015 and 2017. During the 2013 season, long before any of the Star Wars films had been filmed on the island, visitor number were already on the increase, with 13,221 people landing. The next year – after ‘Star Wars: The Force Awakens’ had filmed scenes on the island but more than a year before the blockbuster movie’s release in cinemas – visitor numbers had reached 15,315. 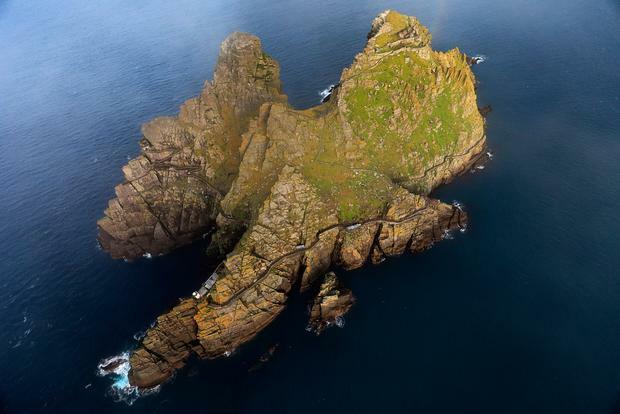 Heritage group An Taisce has raised concerns about the increase in visitors and the current consultation process for a new management plan for the Skelligs. An Taisce says the surge in visitors is threatening the island’s fragile monastic remains and placing a severe strain on the island’s world-famous bird habitats. The heritage group want to see visitor numbers capped at their current level and to see more Skellig tourist projects developed on mainland sites in the south Kerry region. The Government is due to submit a new 10-year management plan for the island to UNESCO later this year. Ahead of this, the Department of Culture, Heritage and the Gaeltacht launched a public consultation process which is due to close on January 31. The huge increase in visitor numbers – and how to deal with it – will likely form a key aspect of the new plan, though the Department will be limited in what it can do as it attempts to juggle the protection of the island and the needs of the local tourism sector. Currently 15 boat operators are licensed to bring 12 visitors per day to the island during a roughly 140-day season that lasts from mid-May until the end of September. In ideal conditions, that would allow for over 25,000 visitors to land. However, on average, bad weather and rough seas make landing at the island impossible for about a third of the season. In order to bring visitor numbers down to the 11,100 a year ‘sustainable’ level recommended by UNESCO, the OPW would have to cut the number of licensed boats; the number of people each boat can carry; or the length of the season itself by about a third. Given the devastating impact this would have on the local economy, such a drastic step is highly unlikely. It all means that some other solutions to protect the historic island – and to meet UNESCO’s exacting standards – will have to be found, and found soon.